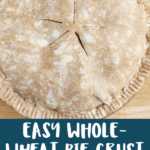 Making homemade pie crust can be a little daunting, but with the help of a food processor and an easy method, you can nail this Whole Wheat Pie Crust every time! 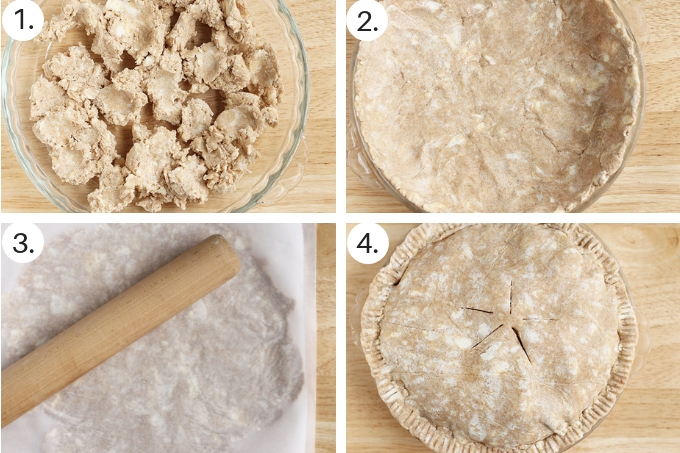 I like using a mix of all purpose and whole wheat flour in my pie crust since it adds a little extra flavor. And since my husband loves pie more than anything else, I wanted to be sure that I have a technique to do it that doesn’t make me nervous. 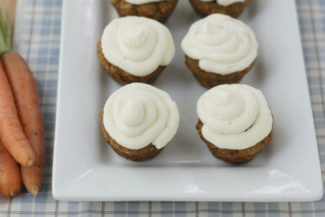 I use this method, which uses a food processor to perfectly make the dough without overworking it, and a simple press-into-the-pan method that avoids too much rolling. 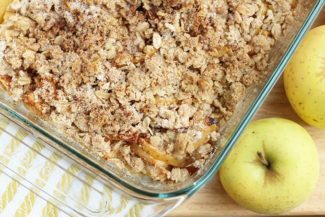 I know there are some pie purists who prefer to make pie crust by hand, and while I do it that way sometimes, I find that using a food processor makes it really easy—especially if you aren’t so used to working with this sort of pastry. And when you have kids around who may want to help press the buttons! Here’s a look at the process for getting the dough ready to work with. Dice the butter into small cubes. 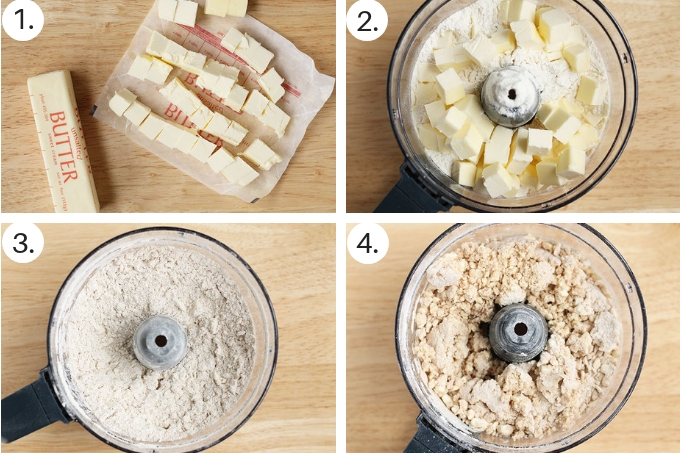 Add the flours, butter, salt, and sugar to the bowl of a food processor. Pulse a few times to form sand-like texture. Add 1/2 cup water and pulse 10-15 times until the dough starts to come together. Remove the lid and press some between your fingers. It should hold together. Pour the dough into a bowl, press together gently to form a ball, and divide in half. Wrap one half in plastic wrap and place into the fridge. And here’s what you do with the dough once you have it ready. 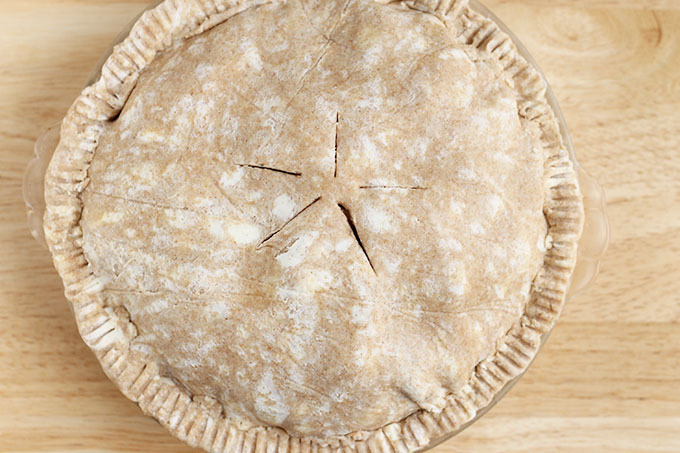 Add pieces of the remaining half of dough from the bowl to the bottom of a 9-inch pie plate. 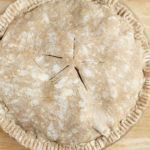 Press to make a uniform and even bottom crust that covers the bottom and up the sides of the pie plate. Refrigerate and remove the dough ball wrapped in plastic. Remove the dough from the plastic and place between two large pieces of parchment paper. Roll out to make a circle approximately 11-inches in diameter. Remove the bottom crust from the fridge, fill as desired, and top with the rolled out circle. Press the edges together and press with a fork if desired. Cut 3-4 slits in the center of the top to allow steam to escape. If you’d like to have a browner top crust, you can brush with a little whole milk and sprinkle with sugar before place into the oven. Can I make this crust gluten-free? I haven’t tried it, but I’ve heard that you can use the King Arthur Measure for Measure gluten-free flour in pie crusts like this one with great success. 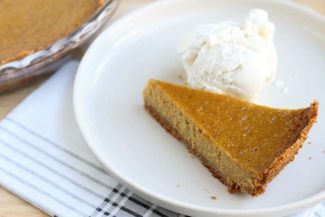 Can I make this Whole Wheat Pie Crust ahead of time? Yes, you can make it the day before and cover it well and place it into the fridge. The top ball of dough will need to sit at room temperature for about 30 minutes to soften enough to roll it out. I like to use this crust anywhere you’d need a double crust pie dough, such as in an apple or apple cranberry pie. 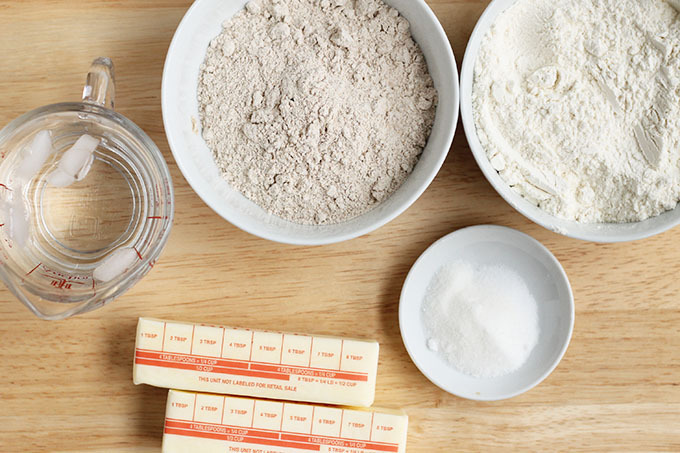 Add the flours, butter, salt, and sugar to the bowl of a food processor. Pulse a few times to form sand-like texture. Pour into a bowl and divide in half. Wrap one half in plastic wrap and place into the fridge. Use as desired in a fruit pie!